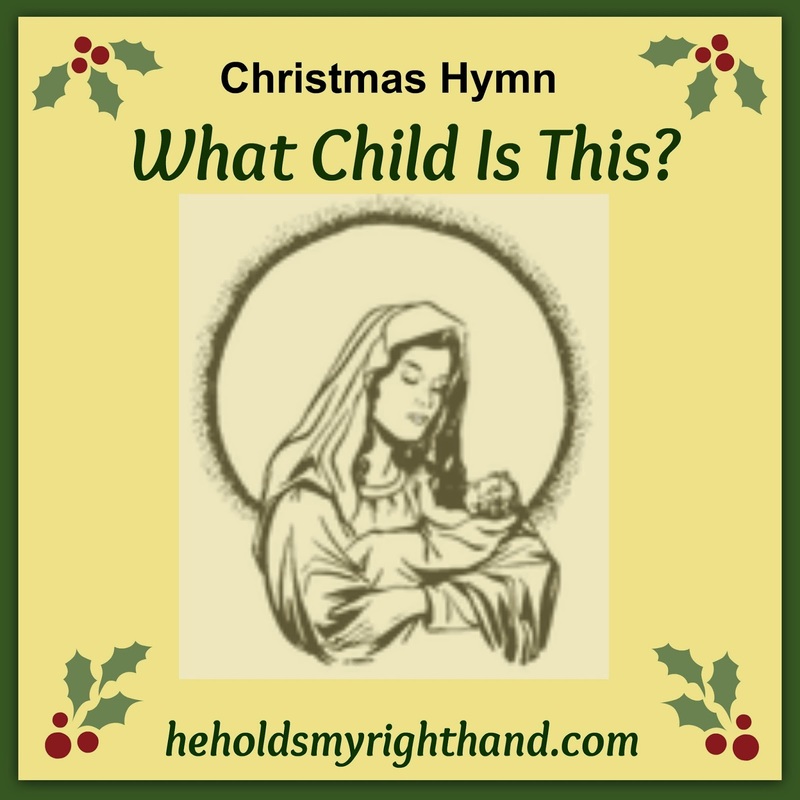 He Holds My Right Hand: CHRISTMAS HYMN: What Child Is This? William Chatterton Dix wrote over 40 hymns in the course of his life, including several Christmas carols. He was the son of a surgeon and author, and grew up to be the manager of a marine insurance company in Scotland. But, his heart was in the written word - the poetry of worship. Luke 2:7 - And she gave birth to her firstborn son; and she wrapped Him in cloths, and laid Him in a manger, because there was no room for them in the inn. Very good. I love this song.